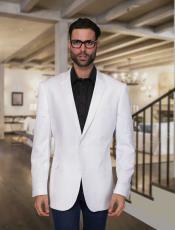 Casual Linen Suits Men Can Love MensUSA is an acclaimed online retailer that provides shoppers with plentiful choices in linen suits for men. If you're the type of person who enjoys wearing comfortable suits that are breathable and cool, linen suits may be exactly what your closet requires. 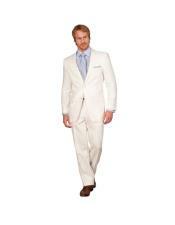 Our suit store has a sizable selection of white linen suits men can appreciate. 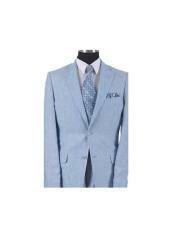 If you're on the lookout for casual linen suits or tan linen suit or short sleeve linen blazer that men can admire, you'll be delighted by our plentiful offerings. 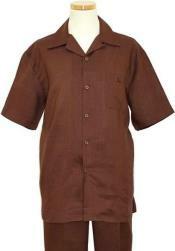 We sell a vast assortment of linen suits for dark skinned men. 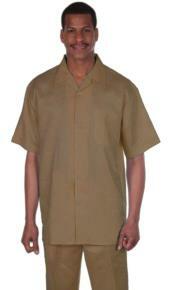 If you want to find a linen suit that will complement your darker complexion perfectly, MensUSA can assist you. 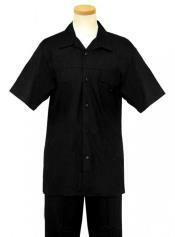 Linen suit comes in casual, dark, black , short and long versions. 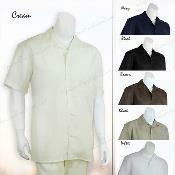 Select our vast collection of Linen suits. 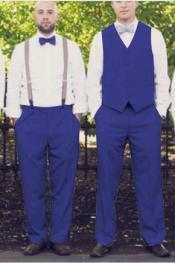 Linen suits are a star attraction for weddings. 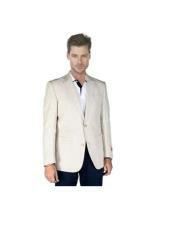 If you are looking for a linen blazer or line suit for your wedding you are shopping at the right location. 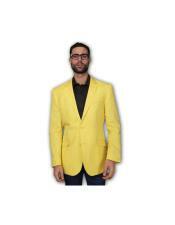 There are linen suits for short men, tall men, dark men and more. Our suit suits men with any different appearance. 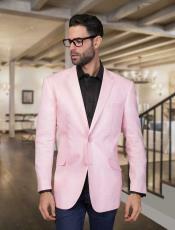 Casual Linen Suits Men Can Wear Time and Time Again Our suits for dark skinned men are sophisticated, elegant and stylish. 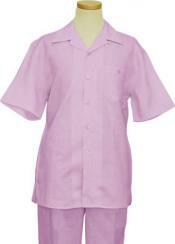 They're available in many excellent and desirable color choices, too. 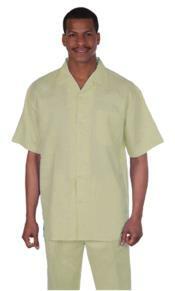 We have linen suits for men that are black, beige, tan, taupe, sand, light gray, navy blue, pale blue, white, ivory, teal and yellow. If you're in need of casual linen suits men can wear during the summertime, you may want to look into our lighter colored options. 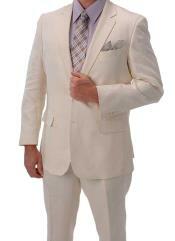 If you're in need of white linen suits men can depend on when temperatures are scorching, you're in luck. 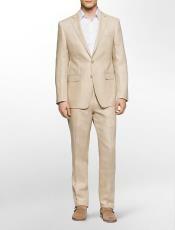 What color of linen suit is in your mind. 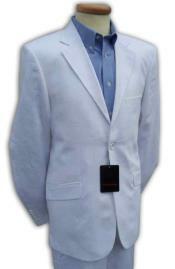 Are you looking for Baby blue linen suit, or navy linen suit , khaki, cream color, white, black, brown, light blue, navy blue, cream blue we have all colors. 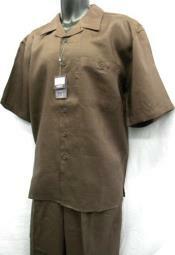 What color you need decide and shop at MensUSA. 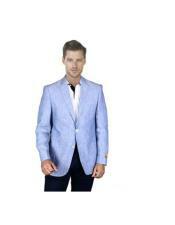 We have huge colors of linen suits and blazers that you can't find in stores. 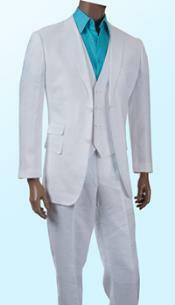 You can choose our linen suits with pants. 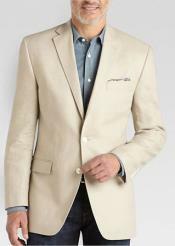 Casual Linen Suits Men Can Enjoy All Year Long MensUSA sells linen suits for men that come with many terrific features. If you want linen suits for men, you can explore features such as pick stitching, double buttons, tapered cutting and flat front pants. Our linen suits for men display all different types of high-quality details. 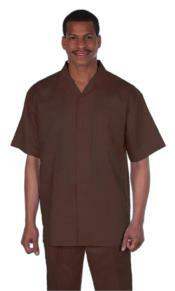 It doesn't matter if you're a fan of six inch drops, center vent looks, two-button fronts or anything else. 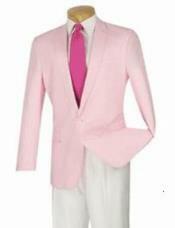 Our customers routinely praise how detail-oriented our linen suits for men are. They love dual vents, half satin lining and open bottoms. Open bottoms can be great for people who want to make the alteration process as simple and quick as possible. 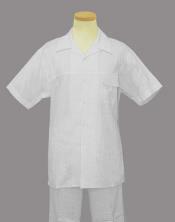 Linen suits are also all white which suits men who like to wear all white casual outfits. 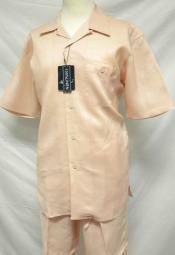 New color addition are beige linen suit. 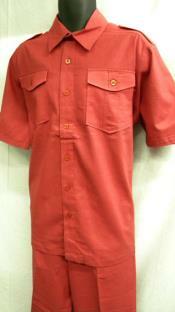 We also have a special linen suit that you can wear for summer. 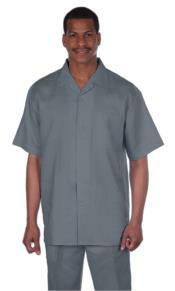 Casual Linen Suits Men Can Have Faith In When you need casual linen suits men can enjoy, MensUSA can accommodate you completely. 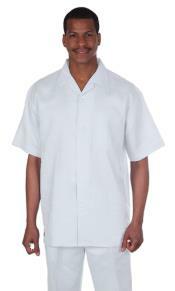 When you need white linen suits men can rely on, our shop can accommodate you fully, too. You can thank our extensive selection for that. 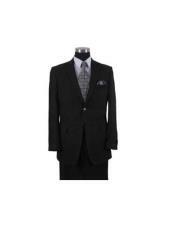 We carry suits that are appropriate for all types of wearers. If you want to take a tour of the finest suits for dark skinned men out there, we can make your wish happen. 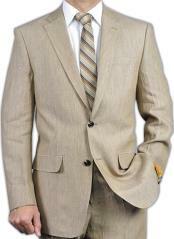 We have an abundance of linen suits for men that work great against darker skin tones. Our choices in suits for dark skinned men couldn't be more plentiful and varied. Variety is the spice of life! 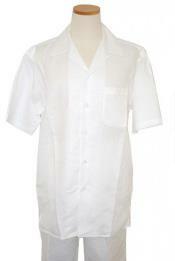 White Linen Suits Men Adore Our linen suits for men can work well on people who love casual styles. 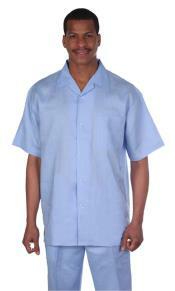 Our linen suits for men can be great for people who like looking formal, classy and poised. 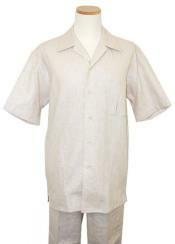 Our linen suits for men can even be excellent for folks who like being somewhere in the middle. 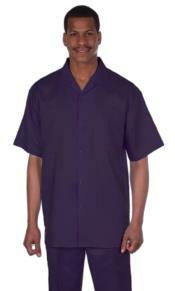 We offer casual linen suits men of all types can enjoy. 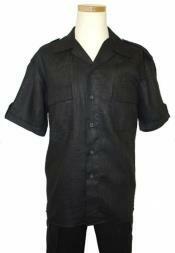 If you want to find casual linen suits men can depend on for all kinds of occasions, we're here to help. If you want to find casual linen suits men can rely on for parties, job interviews, weddings, easygoing gatherings and beyond, we're here to help.